All serving members of LFC Vancouver’s committee have agreed to abide by a code of conduct. The code of conduct is intended to guide the committee in operating a fair and transparent club. Absolutely no personal gain or profit from LFC Vancouver or Liverpool FC. Any gifts or perks that are offered to committee members by 3rd parties or organizations in relation to business with LFC Vancouver are to be recorded as gifts to the club, and shall be distributed to the membership accordingly. Absolutely no communication on club matters (match day, events, prize giveaways, membership issues, etc) via public channels (including but not limited to newspaper/online articles, website postings, newsletters, emails, social media posts, formal interviews) unless in response to an action item, which has been discussed and agreed by the committee. Absolutely no contracts are to be signed, business arrangements made, goods ordered, or funds otherwise withdrawn or committed from the LFC Vancouver bank account without verbal agreement from the Treasurer, and following discussion and agreement by the LFC Vancouver committee. 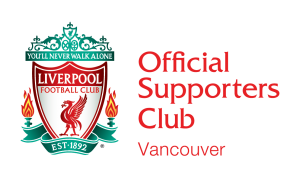 All communication on committee matters is to be conducted via email or ‘WhatsApp’ in the designated LFC Vancouver Committee chat group – this is to facilitate transparent communications which can be exported and handed to members if required. Contact by cellphone and SMS is not preferred and should be avoided. Committee members are required to conduct themselves in accordance with the Liverpool FC’s Fan Code of Conduct as well as the points laid out in this document. Committee members are required to participate actively in committee business and provide appropriate contributions to decision making for the betterment of LFC Vancouver as a whole. Committee members should make every attempt to canvass the views and opinion of the membership group to bring back to the discussion of the committee and report committee decisions back to the members. Committee members undertake to treat LFC Vancouver responsibilities seriously and will endeavor to work on action items they are allocated and get them completed within Committee Code of Conduct October 1, 2015 timeframe; realizing that LFC Vancouver is a vocation, and that life/work/family issues may get in the way. Committee members will commit to attending any and all official LFC Vancouver meetings. If they cannot attend, an alternate in good standing from the membership can be in attendance on their behalf. The Chairman has the final say on club matters in the case of a split vote or decision, but is not the sole authority on such matters. The chairman must listen to all points of view, and in the event that a matter is undecided, may cast a final vote, or make a decision to solve the impasse. Any alleged breaches of this code of conduct to be investigated by an independent party or group, selected by the Donnelly Group (to provide impartiality to the proceedings). Members have the right to report breaches of conduct to any committee member. Any committee member who is found in breach of any of the points of code of conduct, reported by the third party or arbitrator, will face sanction from the committee. Any committee member found to be in breach of the rules more than 3 times, will be dismissed from the committee without grounds for appeal. This is non-negotiable.